Every year, Incognito organizes an Introduction Camp. This year, it will take place from Friday 29th of September until Sunday 1st of October. 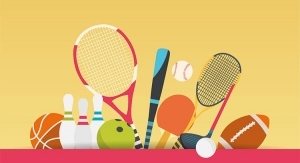 During the weekend, we will play games, get to know each other and have loads of fun. This is the perfect event for first years to get to know the older years. This is why we offer a 5 euro discount to first years and exchange students who would like to join. So, if you are a first year, and a member, then, it will cost you 30 euros. Your sign up will only be completed after you payed! There is a limited number of participants for the camp, so sign up quick!! 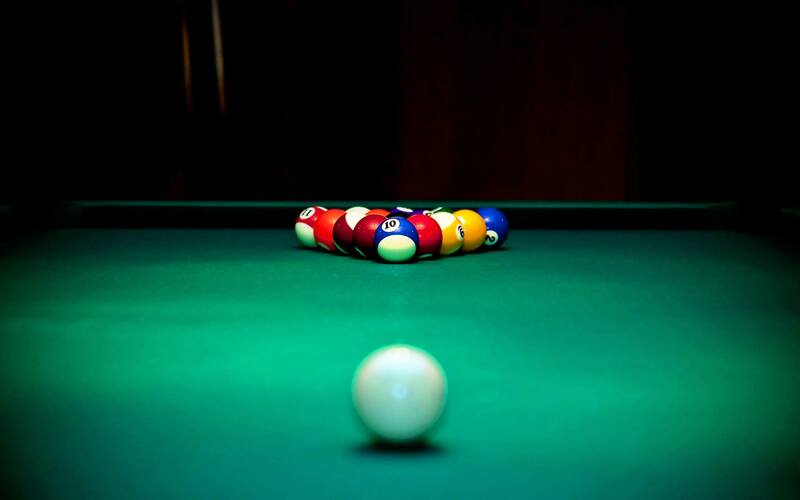 Come join us for a game of Pool at Snookercentrum Maastricht! This event will take place on Wednesday 13th September at 20:00. We will be reserving a couple of tables so we can all play a few games of pool. The prices to join for the whole night are €5 for non-members and €4 for members. Please bring cash and your membership card! Block Opening Drinks 1: Pimp my t-shirt! The academic year has started which means it is once again time to get together and have an opening drink on Wednesday night, September 6 2017, hosted by MSV Incognito! This year we have a new venue for our BOB’s at Hotel & Restaurant el Pichón, Markt 30 in Maastricht. We will be there with our own space and outside area. You can always ask a bartender in case you can’t find it. Coins are €1.50 each for members, non-members pay €2,00 per coin. Beers, as usual, are 1 coin each. Cocktails are for 3 coins each. Wine and soft drinks will be served for normal cash at the bar. As you might have noticed, the look of our website has changed! This was done because our previous theme wasn’t updated in the past couple years and was therefor insecure. We decided to remove the old theme immediately because having a secure website is the most important! The current look is not necessarily final and a couple things feel a bit out of place and it will continue to change. It’s nothing fancy with flying colours and everything. But it’s clean, simple and quite readable. For now it can do the job. However, we believe there is room for improvement, so if you have some feedback, big or small, please let us know at it@msvincognito.nl! It’s the end of the year – you made it! Come celebrate the end of another academic year with Incognito’s famous year-end OMGWTFBBQ out on the back lawn of Bouillonstraat on the 29th of June. The bar will open at 16:30 and the drink will be the normal price: 1 euro 50 per coin. To be part of the food eating joy you will have to pay 5 euros and we will make sure there is enough food to satify your needs. We will have burgers, brats, snacks, and of course – adult beverages. Come celebrate with your classmates for the last party of the year! See you there! Come join Incognito and Alberto Di Meglio from the world-famous CERN lab on the 23rd of June at Tapijnkazerne Building Z for a presentation on what it means to work for CERN, what the scientists do, what projects are currently being worked on, and what opportunities exist for students to work with CERN. After the presentation, we will have beer, coffee, tea, and snacks for those who want to stick around, ask questions, and engage in discussion. This event is brought to you with special thanks to DKE alumnus Taghi Aliyev, who now is doing his Ph.D at CERN in Geneva. Alberto is Taghi’s supervisor, and Alberto will describe the work they do, as well as how you as a student can eventually get involved with large scientific endeavors such as CERN and their Openlab group. On 20th June, we are hosting our General Assembly (GA). These GAs are the best time for you to voice your opinions about the association and really help us improve. We will be having it in Bouillonstraat 8-10 in room 0.015, from 18:30 to 20:30. The minutes from the last GA can be requested from the board via email or PM. The cost for this event is 27,50 euros. we will play for 4 hours from 1pm till 5pm. You are able to buy extra bullets, these will be 8 euros for an extra 100 bullets. We will be playing many games like capture the flag or the generic team deathmatch. We will provide you with some refreshments and snacks but you are always allowed to bring your own as well. We will be leaving at 11:30AM from the parking lot behind Maastricht’s central station (at the meerssenerweg). 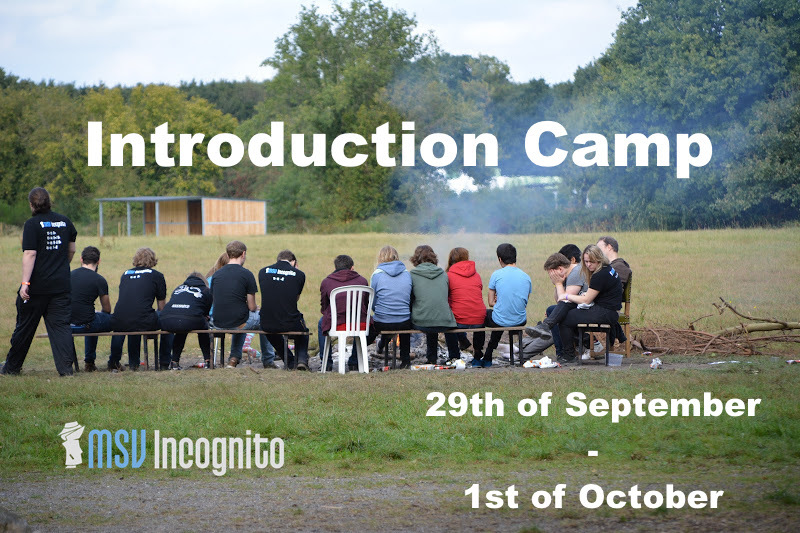 If you can provide us with a car to help get your fellow students there please note this down when making your registration, the fuel costs will be reinbursed by incognito. Also, for the drivers, the destination will be Paintball Arena, Binnenvaartstraat 53, 3530 Houthalen, Belgium. Paintballs travel about 300 feet per second (91.4 meters per second) and explode on impact. They’re filled with an environmentally friendly, washable “paint” and don’t hurt nearly as much as people expect they would. They hit hard enough so that you know you’ve been hit, but the guns provided to us won’t be powerful enough to hurt you. For our final BOB of the academic year, we’re bringing you fun in the sun and drinks on the beach by hosting a Beach/Hawaiian theme BOB! 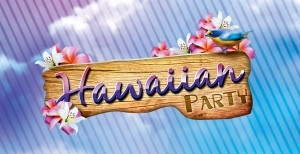 Come relax at our luau with some limbo and tropical cocktails on the 14th of June . Come dressed for the beach! As everyone knows, in cooperation with CodePoKE we are doing an AI competition for the game “Hunter Killer,” a 2-dimensional game designed to test your ability to program AI bots that will defeat your opponents as quickly and efficiently as possible. To help students in the competition, projects, and most importantly, life in general: upcoming Wednesday (3rd of May, 16:00) a guest lecture will be given at the Tapijn Kazerne – Building Z. 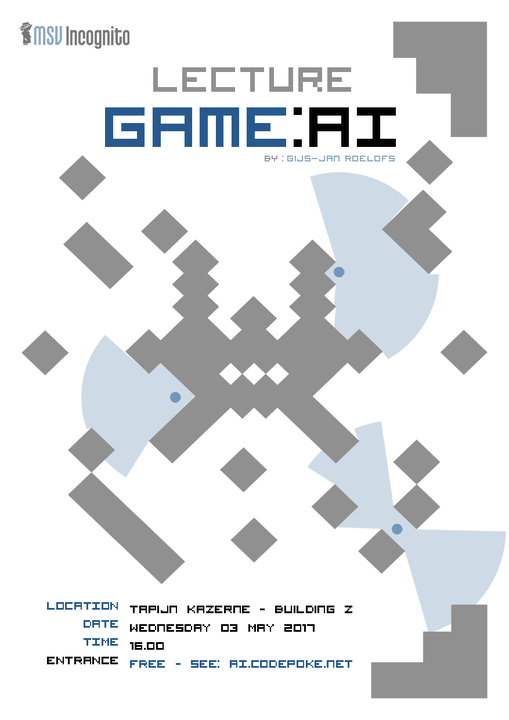 This lecture will outline the various AI techniques used in the (game) industry, the current state of game AI, and how game AI differs from academic AI. Or in better terms: how to deal with real world constraints when programming AI. This lecture is the first in a sequence of two lectures, with the latter outlining how to design for AI from an implementation perspective. Techniques covered: FSM, Behavior Trees, Planner Techniques, and more experimental techniques (for the industry): Search Techniques, and the rise of Machine Learning – Neural Networks. This is a great opportunity for students of all years to talk to potential employers in order to grow their personal network and perhaps find a place where they can someday do an internship, a thesis or even start a career. We will slowly be announcing the companies in the run up to the event so make sure you keep an eye on this event and our page! During the day, each company will present during 10 minutes and will try to show why they are an employer that understands the challenges of a constantly more data-driven and smarter world. After the presentations, speed dates with representatives will be organized so that each student can talk to each company in person. The day will end with an informal drink. We are looking forward to seeing you during the day. More info will be given about the companies and the day itself through e-mail, Facebook as well as our website. 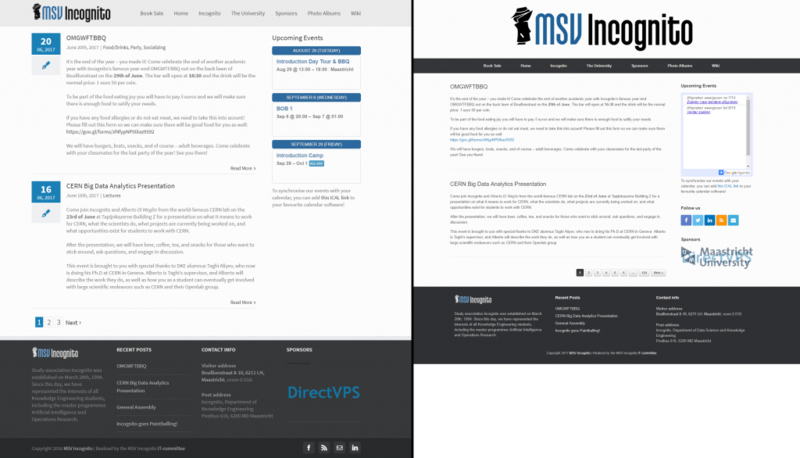 From April 30th to May 18th MSV Incognito, in co-operation with CodePoKE, will be hosting their 4th AI-Competition! We invite you all to a competition for fame, glory and …. obviously, rewards. The competition is designed to give every student, regardless of year, a chance at winning. The focus of this competition is the game “Hunter Killer“, a 2-dimensional turn-based, hidden-information, multi-agent strategy game. Hunter Killer is a complex game and will most certainly test your AI skills and/or cunning to the limit. However, do not be intimidated by its complexity! To ensure that everyone can compete in this event, two lectures will be hosted by members from CodePoKE which outline various ways to approach the problem and detail AI techniques you could use. The game itself is fully implemented, and utility logic is provided to make implementing a bot as easy as possible. During the competition, the CodePoKE office will be open every Sunday for students to sit together and work. For more information on the schedule, rules of the competition, or the contents of the presentations, please visit the AI-Competition website (http://ai.codepoke.net). – You will write a player that can play the game by itself. – Have your player play / test against others. – Try to attain as high of an ELO rating as you can. – Be present for the finals on Thursday May 18th at CodePoKE (starts @ 16:00). So if you have always wanted to shoot some hoops with some of your classmates (or throw some balls at them) then make sure to invite them as well!! The price for the event will be 3 euros for members and 5 euros for non members. The location of the event will be at Gymzaal Mariaberg on the address Gentiaanstraat 3. We have the gym from 20:15 till 22:00 so make sure to come at 20 so that you have time to change in the changing rooms before we start. This is that time of the year again – time for the largest Incognito tradition. Its Cantus time! This year’s Cantus will be held again at Café De Beurs near the station so people from near and far can come celebrate with us! We are welcoming all people, shall they be DKE students, alumni, other UM students or even your friends! For those who are unfamiliar with what a cantus is: a cantus is a jolly event where beer and songs are gracefully mixed together to create an atmosphere that few can say they experienced elsewhere. Songs from every corner of our beautiful planet will be sung in several different languages! So rest your vocal chords and be prepared to sing your heart out! If you have any questions, would like to make sure a song is sung at the cantus, feel free to contact any of the members of the Presidium. The cost of this event is 15 euros and please sign up as soon as possible if you know that you are attending. Seats are limited, and we assign them on a first come first serve basis, so register as soon as possible! If you are worried about the price of the event fear not, with the amount of money that you will spend, you will be rewarded with UNLIMITED beer and the assurance to spend a night for the ages! Now that the weather is starting to get better we think it’s about time that we all go outside and get a bit more active! And so Incognito is hosting an ultimate Frisbee night. 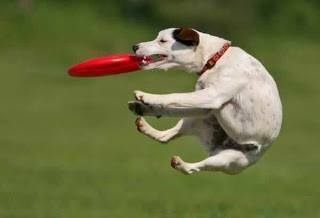 Bring your friends, bring your dog, anyone who can catch a Frisbee! We hope to see you at De Griend on Wednesday! Come along to our penultimate bob of the year to celebrate the end of exams and the start of our new courses! We are having a pre sale for 2 of our big upcoming events of block 5 so make sure you join to see what they are before anyone else! 20% of the rest of the menu for members so bring your membership card! Students in the Calculus course are welcome to join us for a study group session. The format will be as follows: We have several tutors who are going to be present throughout the afternoon, so bring your exercises and questions and feel free to work individually, or as a group, and the tutors will be there to answer any questions you have. If the tutors feel the need, they will present tutorials on larger concepts. To synchronise our events with your calendar, you can add this ICAL link to your favourite calendar software! Incognito was established on March 28th, 1994. Since this day, we have committed ourselves to organising activities for you all! Please feel free to join our activities and to have a look around our website! Boullionstraat 8-10, 6211 LH, Maastricht, room 0.018. Copyright 2019 MSV Incognito | Realised by the MSV Incognito IT committee.